The Valley Floor Loop Trail takes you along many of the valley's early trails and wagon roads. 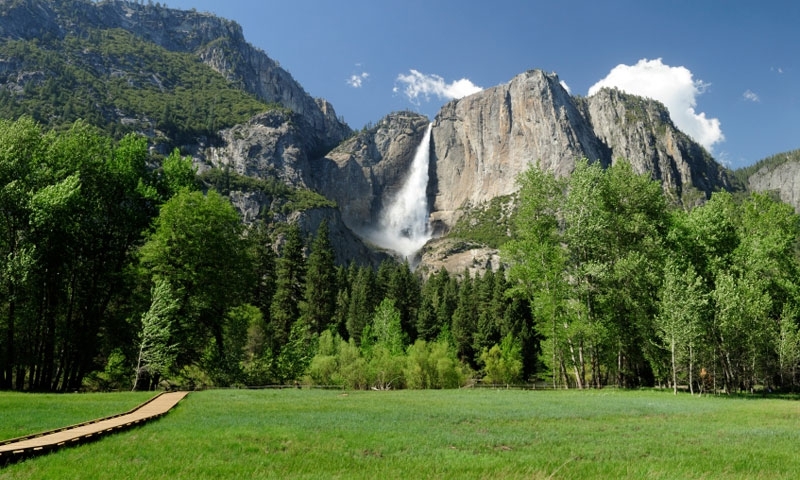 It can be done in a half-loop or full loop and is often less crowded than the more popular hikes, while still offering great views through forest, meadows and along the Merced River. The half-loop trail crosses the Merced River at El Capitan Bridge. The full loop takes most of the day, but is considered well worth it, since it's the trail less traveled. 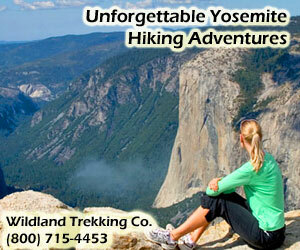 Views include Sentinel Rock, Bridalveil Fall, El Capitan and Yosemite Fall. This relatively level trail offers plenty of opportunities to stop and savor the surroundings. Begin at Lower Yosemite Falls Trailhead, shuttle stop #6. A common complaint is occasional difficulty with trail location, so check with the visitor's center in Yosemite Village for up-to-date information. Bring water. Snowy or icy in winter.